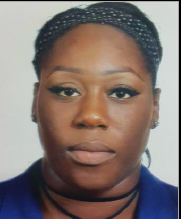 thebahamasweekly.com - RBPF Missing: 22 year old Jovan Amanda Sands of Forest, Exuma. RBPF Missing: 22 year old Jovan Amanda Sands of Forest, Exuma. Exuma, Bahamas - Police are seeking the public’s help in locating 22year old Jovan Amanda Sands of Forest, Exuma. Sands is described as being about 5’7” tall, slim build, weighing approximately 170lbs, with dark complexion. She was last seen leaving her home on Thursday, 28th June, 2018. Anyone knowing the whereabouts of Sands is asked to contact the police on Exuma at 336-2666/7, crime stoppers at 328-TIPS or 919/911 urgently. WEEKLY SAFETY TIPS: During the summer months there is usually an increase in reports of stolen/lost passports. Ensure that your passport in a secured in a safe place after use. DO NOT store passports in vehicles and handbags during daily commutes. Obtain copies of your passport in the event it is lost or stolen. Information contained in the passport, such as the serial number, will be required by police for tracing purpose. Never pass your passport to a friend of colleague to conduct business on your behalf. When traveling, locate the safety deposit box in your hotel room and use it.